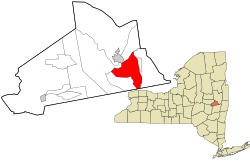 Schenectady (/skəˈnɛktədi/) is a city in Schenectady County, New York, United States, of which it is the county seat. As of the 2010 census, the city had a population of 66,135. The name "Schenectady" is derived from a Mohawk word, skahnéhtati, meaning "beyond the pines". Schenectady was founded on the south side of the Mohawk River by Dutch colonists in the 17th century, many from the Albany area. They were prohibited from the fur trade by the Albany monopoly, which kept its control after the English takeover in 1664. Residents of the new village developed farms on strip plots along the river. Connected to the west via the Mohawk River and Erie Canal, Schenectady developed rapidly in the 19th century as part of the Mohawk Valley trade, manufacturing and transportation corridor. By 1824 more people worked in manufacturing than agriculture or trade, and the city had a cotton mill, processing cotton from the Deep South. Numerous mills in New York had such ties with the South. Through the 19th century, nationally influential companies and industries developed in Schenectady, including General Electric and American Locomotive Company (ALCO), which were powers into the mid-20th century. Schenectady was part of emerging technologies, with GE collaborating in the production of nuclear-powered submarines and, in the 21st century, working on other forms of renewable energy. Schenectady is in eastern New York, near the confluence of the Mohawk and Hudson rivers. It is in the same metropolitan area as the state capital, Albany, which is about 15 miles (24 km) southeast. In December 2014, the state announced that the city was one of three sites selected for development of off-reservation casino gambling, under terms of a 2013 state constitutional amendment. The project would redevelop an ALCO brownfield site in the city along the waterfront, with hotels, housing and a marina in addition to the casino. In 1661, Arent van Curler, a Dutch immigrant, bought a big piece of land on the south side of the Mohawk River. Other colonists were given grants of land by the colonial government in this portion of the flat fertile river valley, as part of New Netherland. The settlers recognized that these bottomlands had been cultivated for maize by the Mohawk for centuries. Van Curler took the largest piece of land; the remainder was divided into 50-acre plots for the other first fourteen proprietors; Alexander Lindsey Glen, Philip Hendrickse Brouwer, Simon Volkertse Veeder, Pieter Adrianne Van Wogglelum, Teunise Cornelise Swart, Bastia De Winter atty for Catalyn De Vos, Gerrit Bancker, William Teller, Pieter Jacobse Borsboom, Pieter Danielle Van Olinda, Jan Barentse Wemp(le), Jacques Cornelise Van Slyck, Marten Cornelise Van Esselstyn, and Harmen Albertse Vedder. As most early colonists were from the Fort Orange area, they may have anticipated working as fur traders, but the Beverwijck (later Albany) traders kept a monopoly of legal control. The settlers here turned to farming. Their 50-acre lots were unique for the colony, "laid out in strips along the Mohawk River", with the narrow edges fronting the river, as in French colonial style. They relied on rearing livestock and wheat. The proprietors and their descendants controlled all the land of the town for generations, essentially acting as government until after the Revolutionary War, when representative government was established. In 1664 the English seized the Dutch New Netherland colony and renamed it New York. They confirmed the monopoly on the fur trade by Albany, and issued orders to prohibit Schenectady from the trade through 1670 and later. Settlers purchased additional land from the Mohawk in 1670 and 1672. (Jacques and Hilletie Van Slyck each received portions of land in the Mohawk 1672 deed for Schenectady.) Twenty years later (1684) Governor Thomas Dongan granted letters patent for Schenectady to five additional trustees. On February 8, 1690, during King William's War, French forces and their Indian allies, mostly Ojibwe and Algonquin warriors, attacked Schenectady by surprise, leaving 62 dead, 11 of them African slaves. American history notes it as the Schenectady massacre. A total of 27 persons were taken captive, including five African slaves; the raiders took their captives overland about 200 miles to Montreal and its associated Mohawk mission village of Kahnawake. Typically the younger captives were adopted by Mohawk families to replace people who had died. Through the early 18th century in the raiding between Quebec and the northern British colonies, some captives were ransomed by their communities. Colonial governments got involved only for high-ranking officers or other officials. In 1748, during King George's War, the French and Indians attacked Schenectady again, killing 70 residents. In 1765, Schenectady was incorporated as a borough. During the American Revolutionary War the local militia unit, the 2nd Albany County Militia Regiment, fought in the Battle of Saratoga and against Loyalist troops. Most of the warfare in the Mohawk Valley occurred farther west on the frontier in the areas of German Palatine settlement west of Little Falls. Because of their close business and other relationships with the British, some settlers from the city were Loyalists and moved to Canada in the late stages of the Revolution. The Crown granted them land in what became known as Upper Canada and later Ontario. It was not until after the Revolutionary War that the village residents were successful in reducing the power of descendants of the early trustees and gained representative government. The settlement was chartered as a city in 1798. Long interested in supporting higher education and morals, the members of the City's three oldest churches—the Dutch First Reformed Church, St. Georges Episcopal Church, and First Presbyterian Church—formed a "union" and founded Union College in 1795 under a charter from the state. The school had started in 1785 as Schenectady Academy. This founding was part of the expansion of higher education in upstate New York in the postwar years. In the 19th century, after completion of the Erie Canal in 1825, Schenectady became an important transportation, manufacturing and trade center. By 1824 more of its population worked in manufacturing than agriculture or trade. Among the industries was a cotton mill, which processed cotton from the Deep South. It was one of many such mills in upstate whose products were part of the exports shipped out of New York City. The city and state had many economic ties to the South at the same time that some residents became active in the abolitionist movement. Schenectady benefited by increased traffic connecting the Hudson River to the Mohawk Valley and the Great Lakes to the west and New York City to the south. The Albany and Schenectady Turnpike (now State Street) was constructed in 1797 to connect Albany to settlements in the Mohawk Valley. 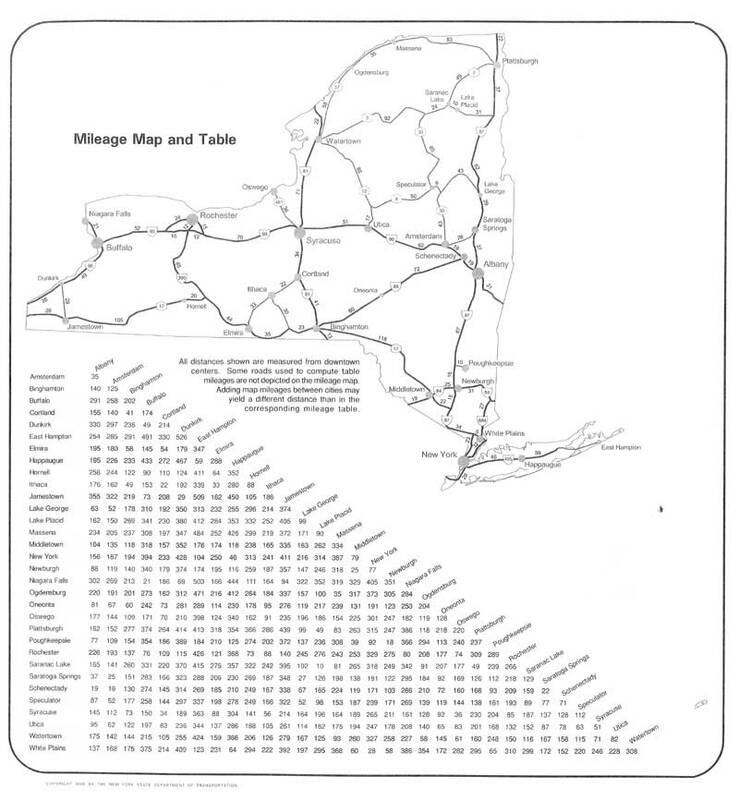 The Mohawk and Hudson Railroad started operations in 1831 as one of the first railway lines in the United States, connecting the city and Albany by a route through the pine barrens between them. Developers in Schenectady quickly founded the Utica & Schenectady Railroad, chartered in 1833; Schenectady & Susquehanna Railroad, chartered May 5, 1836; and Schenectady & Troy Railroad, chartered in 1836, making Schenectady "the rail hub of America at the time" and competing with the Erie Canal. Commodities from the Great Lakes areas and commercial products were shipped to the East and New York City through the Mohawk Valley and Schenectady. The last slaves in New York and Schenectady gained freedom in 1827, under the state's gradual abolition law. The law first gave freedom to children born to slave mothers, but they were indentured to the mother's master for a period into their early 20s. Union College established a school for black children in 1805, but discontinued it after two years. Methodists helped educate the children for a time, but public schools did not accept them. In the 1830s, the abolitionist movement grew in Schenectady. In 1836, Rev. Isaac Groot Duryee (also recorded as Duryea) co-founded the interracial Anti-Slavery Society at Union College and the Anti-Slavery Society of Schenectady in 1837. Freedom seekers were supported via the Underground Railroad route that ran through the area, passing to the west and north to Canada, which had abolished slavery. In 1837 Duryee, together with other free people of color, co-founded the First Free Church of Schenectady (now the Duryee Memorial AME Zion Church). He also started a school for students of color. The abolitionist Theodore S. Wright, an African-American minister based in New York City, spoke at the dedication of the church and praised the school. Through the late 19th century, new industries were established in the Mohawk Valley and powered by the river. Industrial jobs attracted many new immigrants, first from Ireland, and later in the century from Italy and Poland. In 1887, Thomas Edison moved his Edison Machine Works to Schenectady. In 1892, Schenectady became the headquarters of the General Electric Company. This business became a major industrial and economic force and helped establish the city and region as a national manufacturing center. GE became important nationally as a creative company, expanding into many different fields. American Locomotive Company also developed here, from a Schenectady company, and merging several smaller companies in 1901; it was second in the United States in the manufacture of steam locomotives before developing diesel technology. Like other industrial cities in the Mohawk Valley, in the early 20th century, Schenectady attracted many new immigrants from eastern and southern Europe, as they could fill many of the new industrial jobs. It also attracted African Americans as part of the Great Migration out of the rural South to northern cities for work. General Electric and American Locomotive Company (ALCO) were industrial powerhouses, influencing innovation in a variety of fields across the country. Schenectady is home to WGY, the second commercial radio station in the United States, (after WBZ in Springfield, Massachusetts, which was named for Westinghouse.) WGY was named for its owner, General Electric (the G), and the city of Schenectady (the Y). In 1928, General Electric produced the first regular television broadcasts in the United States, when the experimental station W2XB began regular broadcasts on Thursday and Friday afternoons. This television station is now WRGB; for years it was the Capital District's NBC affiliate, but has been the area's CBS affiliate since 1981. The city reached its peak of population in 1930. The Great Depression caused a loss of jobs and population in its wake. In the postwar period after World War II, some residents moved to newer housing in suburban locations outside the city. In addition, General Electric established some high-tech facilities in the neighboring town of Niskayuna, which contributed to continuing population growth in the county. In the latter part of the 20th century, Schenectady suffered from the massive industrial and corporate restructuring that affected much of the US, including in the railroads. It lost many jobs and population to other locations, including offshore. Since the late 20th century, it has been shaping a new economy, based in part on renewable energy. Its population increased from 2000 to 2010. The city was a manufacturing center known as "The City that Lights and Hauls the World" – a reference to two prominent businesses in the city, the Edison Electric Company (now known as General Electric), and the American Locomotive Company (ALCO). GE retains its steam turbine manufacturing facilities in Schenectady and its Global Research facility in nearby Niskayuna. Thousands of manufacturing jobs have been relocated from Schenectady to the Sun Belt and abroad. Corporate headquarters are now located in Boston. ALCO produced steam locomotives for railroads for years. Later it became renowned for its "Superpower" line of high-pressure locomotives, such as those for the Union Pacific Railroad in the 1930s and 1940s. During World War II, it converted to support the war, making tanks for the US Army. As diesel locomotives began to be manufactured, ALCO joined with GE to develop diesel locomotives to compete with the EMD division of General Motors. But corporate restructuring to cope with the changing locomotive procurement environment saw the slow downward spiral of ALCO. Its operations fizzled as the company went through acquisitions and restructuring in the late 1960s. Its Schenectady plant closed in 1969. In the census of 2010, there were 66,135 people, 26,265 (2000 data) households, and 14,051 (2000 data) families residing in the city. The population density was 6,096.7 people per square mile (2,199.9/km²). There were 30,272 (2000 data) housing units at an average density of 2,790.6 per square mile (1,077.2/km²). The racial makeup of the city was 59.38% (52.31% Non-Hispanic) (7.07 White-Hispanic) White, 24.19% African American, 14.47% Hispanic or Latin of any race, 8.24% from other races, 5.74% from two or more races, 2.62% Asian American, 0.69% Native American, and 0.14% Pacific Islander. There is a growing Guyanese population in the area. The top ancestries self-identified by people on the census are Italian (13.6%), Guyanese (12.3%), Irish (12.1%), Puerto Rican (10.1%), German (8.7%), English (6.0%), Polish (5.4%), French (4.4%). These reflect historic and early 20th-century immigration, as well as that since the late 20th century. The Schenectady City School District is very diverse; (71%- 2011)(80%–2013) of district students receive free or reduced lunch. The student population of the school district is majority minority: 35% Black (48% Graduate), 32% White (71% Graduate), 18% Hispanic (51% Graduate), 15% Asian (68% Graduate). As of 2016, the graduation rate for the high school was 56%. The median income for a household in the city in 2000 was $29,378 (2010–$37,436), and the median income for a family was $41,158. Males had a median income of $32,929 versus $26,856 for females. The per capita income for the city was $17,076. About 20.2% of families and 25.9% of the population were below the poverty line, including 41.5% of those under age 18 and 5.6% of those age 65 or over. Notable congregations are the First Presbyterian Church (Schenectady, New York) which is affiliated with the PCA, First Reformed Church RCA is formed in the 17th century, one of the oldest churches in the town. St George's Episcopal Church dates back to 1735; it shared facilities with the Presbyterians more than 30 years . 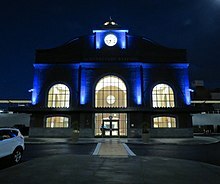 Amtrak, the national passenger rail system, provides regular service to Schenectady, with Schenectady station at 322 Erie Boulevard. Trains include the Ethan Allen, Adirondack, Lake Shore Limited, Maple Leaf, and Empire Service. Schenectady also has freight rail service from Canadian Pacific Railway and CSX Transportation. In the early twentieth century, Schenectady had an extensive streetcar system that provided both local and interurban passenger service. The Schenectady Railway Co. had local lines and interurban lines serving Albany, Ballston Spa, Saratoga Springs and Troy. There was also a line from Gloversville, Johnstown, Amsterdam, and Scotia into Downtown Schenectady operated by the Fonda, Johnstown, and Gloversville Railroad. The nearly 200 leather and glove companies (178) in the Gloversville region generated considerable traffic for the line. Sales representatives carrying product sample cases would begin their sales campaigns throughout the rest of the country by taking the interurban to reach Schenectady's New York Central Railroad station, where they connected to trains to New York City, Chicago and points between. The bright orange FJ&G interurbans were scheduled to meet every daylight New York Central train that stopped at Schenectady. Through the 1900s and into the early 1930s, the line was quite prosperous. In 1932 the FJ&G purchased five lightweight "bullet cars" (#125 through 129) from the J. G. Brill Company. These interurbans represented state of the art design: the "bullet" description referred to the unusual front roof that was designed to slope down to the windshield in an aerodynamically sleek way. FJ&G bought the cars believing that there would be continuing strong passenger business from a prosperous glove and leather industry, as well as legacy tourism traffic to Lake Sacandaga north of Gloversville. Instead, roads were improved, automobiles became cheaper and were purchased more widely, tourists traveled greater distances by car, and the Great Depression decreased business overall. Proctors Theatre is an arts center. Built in 1926 as a vaudeville/movie theater, it has been refurbished in the 21st century. It is home to "Goldie," a Wurlitzer theater pipe organ. Proctor's was also the site of one of the first public demonstrations of television, projecting an image from a studio at the GE plant a mile [1.6 km] away. Its 2007 renovation added two theatres: Proctors is home to three theaters, including the historic Mainstage, the GE Theatre, and 440 Upstairs. The Stockade Historic District features dozens of Dutch and English Colonial houses from the 18th and 19th centuries. It is New York state's first historic district, designated in 1965 by the Department of Interior and named after the historic stockade that originally surrounded the colonial settlement. The General Electric Realty Plot, located near Union College, was one of the first planned residential neighborhoods in the US and designed to attract General Electric Company executives in the late 19th and early 20th centuries. It features an eclectic collection of grand homes in a variety of architectural styles, including Tudor, Dutch Colonial, Queen Anne, and Spanish Colonial. The Plot is home to the first all-electric home in the United States. The Plot hosts an annual House and Garden Tour. Central Park is the crown jewel of Schenectady's parks. It occupies the highest elevation point in the city. The Common Council voted in 1913 to purchase the land for the present site of the park. The park features an acclaimed rose garden and Iroquois Lake. Its stadium tennis court was the former home to the New York Buzz of the World Team Tennis league (as of 2008). Central Park was named after New York City's Central Park. Schenectady Light Opera Company (SLOC) is a community theater group on Franklin St in downtown Schenectady. Vale Cemetery, listed on the National Register of Historic Places, includes more than 30,000 burials of noted and ordinary residents of the city. It includes the historic African-American Burying Ground, where city residents annually celebrate anniversaries of Juneteenth and Emancipation. The city is served by the Schenectady City School District, which operates 16 elementary schools, three middle schools and the main high school Schenectady High School. Brown School is a private, nonsectarian kindergarten-through-8th grade school. Catholic schools are administered by the Diocese of Albany. Wildwood School is a special education, all ages school. 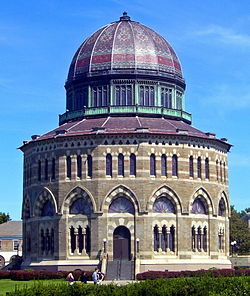 Schenectady's tertiary educational institutions are Union College, a private liberal arts college, and Schenectady County Community College, a public community college. Author Henry James gave his lead character Daisy Miller, in his 1878 novella of the same name, an origin in Schenectady. Schenectady is referred to or is the setting for several of Kurt Vonnegut's books, most notably Hocus Pocus and Player Piano. Doctor Octopus, a Marvel Comics supervillain, was born in Schenectady. Joseph S. Pulver, Sr.'s Lovecraftian serial killer novel, Nightmare's Disciple (Chaosium, 1999) is set in Schenectady. Science fiction writer Harlan Ellison stated that anytime a fan or interviewer asked him the question "Where do you get your ideas? ", he would reply "Schenectady". Science fiction writer Barry Longyear subsequently titled a collection of his short stories It Came From Schenectady. In Objective, Burma! (1945), Lt. Sid Jacobs (William Prince) tells reporter Mark Williams (Henry Hull) about his house on Crane Street in Schenectady. He had taught at Pleasant Valley school before the war. In the 1950s television series, The Honeymooners, Trixie's mother was from Schenectady. The Way We Were (1973) was filmed on location in Schenectady at Union College, and in nearby Ballston Spa. It starred Barbra Streisand and Robert Redford. The 1980s film Heart Like a Wheel starring Bonnie Bedelia as female race car driver Shirley Muldowney, is mostly set in Schenectady. The 1996 made-for-TV film Unabomber: The True Story starring Robert Hays as David Kaczynski, brother of unabomber Ted Kaczynski, refers to Schenectady, where David and his wife were living when they figured out his brother's involvement in the bombings. Star Trek: Enterprise (2001), Starfleet Captain Jonathan Archer is born in Schenectady in 2112. The Time Machine (2002), the remake starring Guy Pearce, features Schenectady's Central Park in the ice skating scenes, standing in for New York City's Central Park. Synecdoche, New York (2008) is a film partially set in Schenectady, where some scenes were shot. It plays on the aural similarity between the city's name and the figure of speech synecdoche. In the ABC-TV series Ugly Betty, Marc St. James (played by Michael Urie) is said to be from Schenectady. Winter of Frozen Dreams (2009) was entirely filmed in Schenectady County, but is set in Wisconsin, where the historic events took place. It features the Schenectady, the Town of Rotterdam, and the Village of Scotia, all in New York. The film stars Thora Birch as Barbara Hoffman, the historic Wisconsin murderer, and Keith Carradine as a detective determined to catch her. The Place Beyond the Pines (2013), starring Bradley Cooper and Ryan Gosling, was filmed locally in 2011 near the Schenectady Police Headquarters and other areas of Schenectady. In the NBC sitcom Will & Grace, Schenectady is the hometown of character Grace Adler (played by Debra Messing). 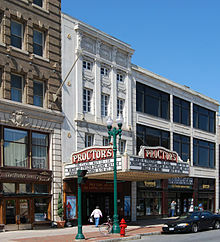 The music video for the song "Hero" by Mariah Carey was filmed at Proctors Theatre in Schenectady. The song "Someone to Love" by Fountains of Wayne, refers to fictional character Seth Shapiro moving from Schenectady in 1993 to Brooklyn. The song "Join the Circus", the last major number in Cy Coleman's musical Barnum, mentions the city in its lyric. ^ "Schenectady". Oxford Dictionaries. Oxford University Press. Retrieved 2016-01-22. ^ "Schenectady". Merriam-Webster Dictionary. Retrieved 2016-01-22. ^ "Google Arts, Schenectady". Google Cultural Institute. Retrieved 7 November 2018. ^ Mohawk Frontier, Second Edition: The Dutch Community of Schenectady, New York, 1661-1710. Suny Press. ISBN 9781438427072. Retrieved 7 November 2018. ^ Pearson, Jonathan (1883). J.W. MacMurray (ed.). A History of the Schenectady Patent in the Dutch and English Times. J. Munsells, Sons. ^ Robert G. Sullivan, Schenectady County Public Library. "A History of the Schenectady Patent in the Dutch and English Times 5: Introduction". schenectadyhistory.org. Retrieved 8 September 2015. ^ "State high school graduation rates rise". Times Union. Retrieved 2017-04-27. ^ "St george' Episcopal Church history page". ^ Copyright 2015 Edison Tech Center. "Edison Tech Center". edisontechcenter.org. Retrieved 8 September 2015. ^ "Day/Residential Schools – Eastern Region: Special Education : EMSC : NYSED". nysed.gov. Retrieved 8 September 2015. ^ Lisa W. Foderaro (February 28, 2010). "Union College Finally Admits Where It Is". New York Times. Retrieved September 8, 2015. ^ Shawn G. Kennedy (October 18, 1987). "The Clouds Burn Off in Schenectady". New York Times. Retrieved September 8, 2015. ...the city's two major educational institutions, Schenectady County Community College and Union College. Morse, J. (1797). "Skenectady". The American Gazetteer. Boston, Massachusetts: S. Hall, and Thomas & Andrews. Yates, Austin A. Schenectady County, New York: Its History to the Close of the Nineteenth Century, New York: New York History Company, 1902, full scanned text online at Allen Public Library, at Internet Archive. Wikimedia Commons has media related to Schenectady, New York.